The principles of light-touch regulation have been shown to fail Irish consumers. There is a provision within the CPC 2012 that obliges Insurers to issue settlement cheques within 10 days of an acceptance of a settlement agreement. This generally works. Yet there are no deadlines or enforcement on how long it can take to investigate a claim, make a decision on policy liability, or respond to queries or reminders. Claims handlers can blame their appointed loss adjuster. Loss Adjusters can blame forensic investigators, engineers, or underwriters. Meanwhile, the victim of serious damage to their home or business can be left waiting months for a decision. The CPC 2012 obliges Insurers appointing a loss adjuster to handle a claim on their behalf to inform the policyholder that the loss adjuster is appointed to represent their interests and that the policyholder can appoint their own loss assessor to represent their interests. Yet, when someone rings to report a claim their first encounter is to dis-suade them from making a claim. They will be told how much the policy excess is, that they will lose their no claims discount or simply that it’s not covered. If they are not sure of the cause, they will have to get someone to give them a report before they can proceed. Many policyholders report feeling like they are being fobbed off or discouraged from proceeding. If a policyholder does get over the initial hurdle they are often informed about their right to appoint their own loss assessor in a way that discourages them from doing so. There can be an emphasis put on the fact that it will be at their own expense (often written in bold). Or that the appointment of a loss assessor may not make any difference to the outcome! This is patently untrue. A Loss Assessor will know exactly what the claimant is entitled to. We know how to present the full scope and cost of the claim to ensure the policyholder receives their full entitlement. We have all too often seen situations where the policyholder is being offered a “patch-up” repair or told something can be cleaned when it is clear it will never be the same again. Some settlements will not cover the cost of compliance with current Building Regulations or Local Authority requirements. Despite building costs creeping up and additional regulation being imposed in relation to construction works, we are still being quoted “agreed rates” are the maximum that they can offer. There can be undue pressure put on sometimes vulnerable and frustrated claimants to accept inadequate settlement figures rather than suffer the additional time delay in fighting on, complaining, or going legal/to tender etc. The very powerful Insurance Industry lobbied the Government to set up PIAB (the Personal Injuries Assessment Board – now known as the Injuries Board) to deal with motor and liability claims in a drive to cut down on legal costs and lenghty legal actions. According to their website they have saved the insurance industry an average of €47.04m each year since 2008. That’s a total saving of €282.24m over the past 6 years. This is to the benefit of all. It seems that the insurance industry are trying to derive similar savings from the way they handle property damage claims in support of their drive to compete on the price of premiums. We have all seen the expensive advertising campaigns offering the lowest premiums. The cost of this has been borne by cuts in cover, increased policy excesses, pressing loss adjusters to achieve savings. Sometimes adopting anti-consumer tactics, leading to dis-satisfied insurance customers, who did not receive value for money. It is clear that Insurers do not like Loss Assessors being involved because they know the claim will settle for more. They have been covertly dissuading Insurance Brokers from recommending loss assessors – clearly anti-consumer. Enlightened Insurance Brokers and policyholders know the value and service that Loss Assessors deliver. Property claims are different to Personal Injury claims. Firstly, the damage can be seen, photographed, measured and priced – unlike a whiplash injury. Secondly, it is a 1st & 2nd party contract between Insurer and Insured; with a promise to pay in the event of specified perils occurring – and not a 3rd party alleging negligence resulting in pain and suffering. Thirdly, it relates to someone’s home or business and their property and possesions – their own personal loss and damage. If the regulators truly care about consumer protection, why not put the Injuries Board savings to good use, and require independent representation is made available to any property claimant where a loss adjuster is appointed, paid for out of the premiums of the fund? This would ensure a level playing field and consumer satisfaction. 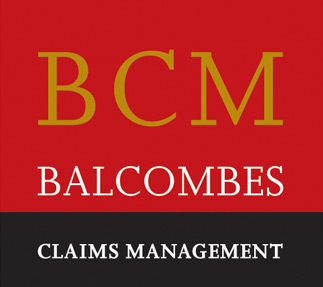 In the meantime Balcombes offer a property claims add-on product via Insurance Brokers. We have an experienced team of Loss Assessors to advise brokers and policyholders in relation to any property damage or policy liability issue. Call us on 1800 506 700, share this post with your network by clicking the links below, or connect with us via Facebook or Linkedin to receive periodic posts.